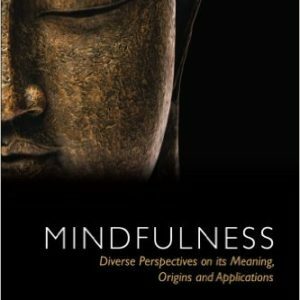 Mirabai Bush teaches contemplative practices and develops programs through the application of contemplative principles and values to organizational life. Her work with individuals and organizations includes entrepreneurial project management, compassionate staff-board relations, organizational leadership, public relations, communication, networking, and strategic relationship building all through the lens of contemplative practice in action. Her spiritual studies include two years in India with Hindu teacher Neemkaroli Baba; meditation in monasteries with Buddhist teachers Shri S.N. Goenka, Anagarika Munindra, and IMS guiding teachers; and studies with Pir Vilayat Khan and Tibetan Buddhist lamas Kalu Rinpoche, Chogyam Trungpa Rinpoche, Gelek Rinpoche, Tsoknyi Rinpoche, and others; and five years of intensive practice in Iyengar yoga and five years of Aikido under Kanai Sensei. Mirabai Bush was a co-founder of the Center for Contemplative Mind in Society and served as Executive Director there until 2008. 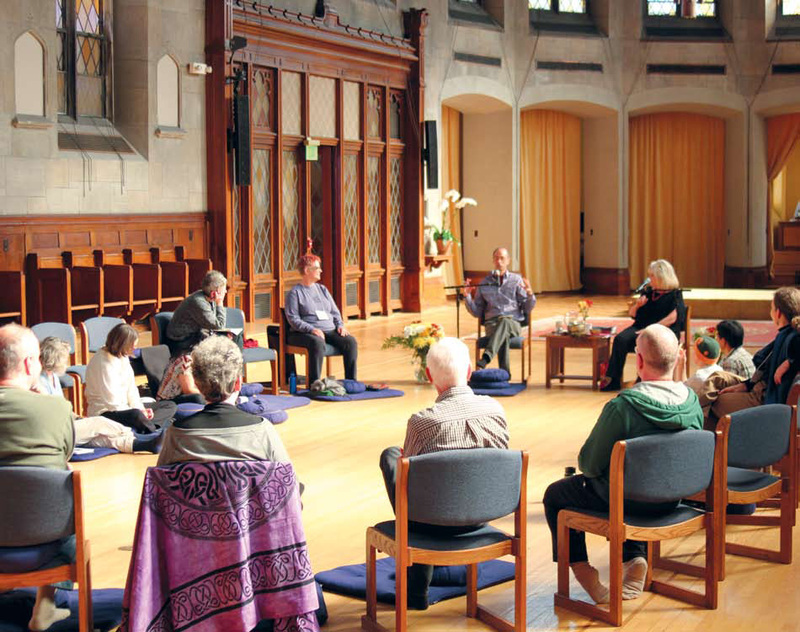 Under her direction, The Center developed its programs in education, law, business, and activism and its network of thousands of people integrating contemplative practice and perspective into their lives and work. Mirabai holds a unique background of organizational management, teaching, and spiritual practice. A founding board member of the Seva Foundation, an international public health organization, she directed the Seva Guatemala Project, which supports sustainable agriculture and integrated community development. Also at Seva, she co-developed Sustaining Compassion, Sustaining the Earth, a series of retreats and events for grassroots environmental activists on the interconnection of spirit and action. 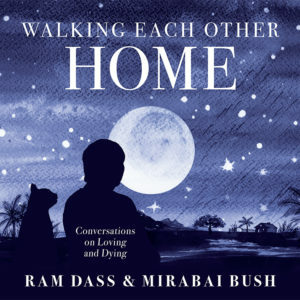 She is co-author, with Ram Dass, of Compassion in Action: Setting Out on the Path of Service, published by Random House.Mirabai has organized, facilitated, and taught workshops, weekends, and courses on spirit and action for more than 20 years at institutions including Omega Institute, Naropa Institute, Findhorne, Zen Mountain Monastery, University of Massachusetts, San Francisco Zen Center, Buddhist Study Center at Barre, MA, Insight Meditation Society, and the Lama Foundation. She has a special interest in the uncovering and recovery of women’s spiritual wisdom to inform work for social change. 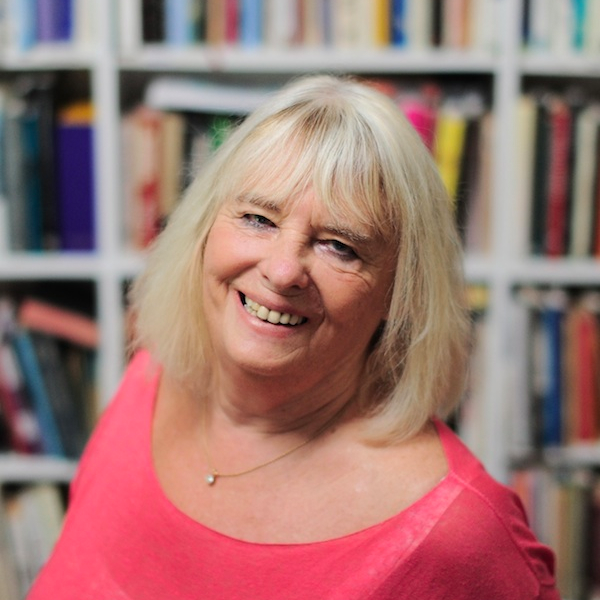 She has taught women’s groups with Clarissa Pinkola Estes, Sharon Salzberg, Joan Halifax, Margo Adler, Starhawk, Jean Shinoda Bolen, Vicky Noble, and other leaders.Her spiritual studies include meditation study at the Burmese Vihara in Bodh Gaya, India, with Shri S.N. Goenka and Anagarika Munindra; bhakti yoga with Hindu teacher Neemkaroli Baba; and studies with Tibetan lamas Kalu Rinpoche, Chogyam Trungpa Rinpoche, Kyabje Gehlek Rinpoche, Tsoknyi Rinpoche, and others. She also did five years of intensive practice in Iyengar yoga and five years of Aikido with Kanai Sensei. Her earlier religious study included 20 years of Catholic schooling, ending with Georgetown University graduate study in medieval literature. She holds an ABD in American literature from the State University of New York at Buffalo.Before entering the foundation world, Mirabai was the first professional woman to work on the Saturn-Apollo moonflight at Cape Canaveral and later co-founded and directed Illuminations, Inc., from 1973 to 1985 in Cambridge, MA. Her innovative business approaches, based on mindfulness practice, were reported in Newsweek, Inc., Fortune, and the Boston Business Journal. She has also worked on educational programs with inner-city youth of color. Mirabai has trekked, traveled, and lived in many countries, including Guatemala, Mexico, Costa Rica, India, Nepal, Morocco, Ireland, England, Scotland, Afghanistan, Iran, Turkey, Germany, Austria, Italy, Pakistan, and the Caribbean. She is an organic gardener in Western Massachusetts and the mother of one adult son, Owen. 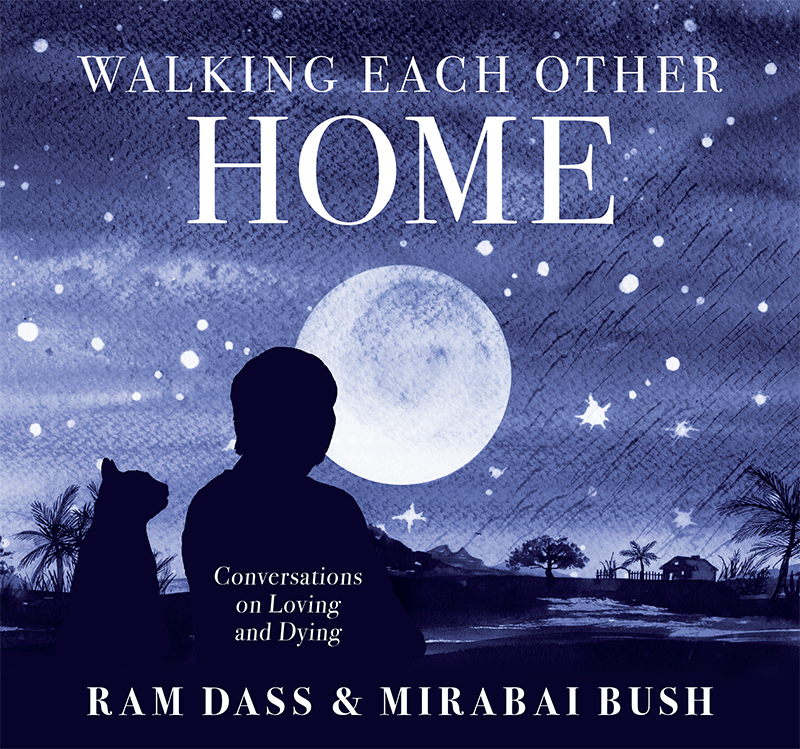 Mirabai has led her life responding to the speed and fear that drives much of American life and thought with programs for developing a culture of reflection, insight, compassion and wisdom. Having studied with contemplative teachers from diverse traditions, she has focused on the interdependence of social change and individual consciousness, and the potential for reforming secular institutions through practices that once existed only behind monastery walls. 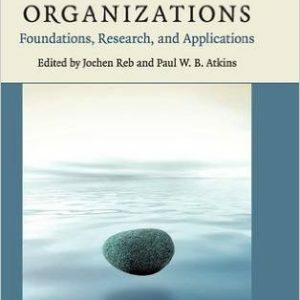 She has led a diverse network of leaders from most every sector of American life to systematically explore the potential contribution of contemplative practices on American civil life and learning: insight and creativity, compassion and civic engagement, and an awareness of the interconnection of life on earth. The practices—meditation, yoga, deep listening, lectio divina, and others—are drawn from diverse wisdom traditions and adapted to programs specifically designed for each sector: higher education, law, business, journalism, environment, biotech sciences, youth leadership, government, and philanthropy. Her teaching and program development focus on the interconnection of the personal, institutional, and political realities of our lives. She also directed the Contemplative Practices Fellowship Program for the Center for Contemplative Mind in Society, awarding 153 fellowships to professors in 100 colleges and universities to develop a contemplative pedagogy and to explore a contemplative epistemology—an integrated way of knowing that calls on the whole person rather than the critical faculties only. She is now Senior Fellow at the Center for Contemplative Mind in Society, teaches contemplative retreats and courses in many settings, and consults with organizations looking to explore the benefits of mindfulness and other contemplative practices. She Mirabai contemplative practices at the annual Contemplative Mind Retreat for Educators; at the Contemplative Clinical Practice Certificate Program at Smith College; and with Ram Dass, Krishna Das, and Sharon Salzberg at the annual Open Your Heart retreat. She has taught with Surya Das at Garrison Institute, with Norman Fischer at Google, and with many others and has taught introduction to practice at Fetzer Institute and other nonprofit organizations and and other businesses. From the time she founded Illuminations, Inc., in Cambridge in the seventies through her years at Seva Foundation, an international public health organization, and into her current work in diverse sectors, Mirabai has been interested in creating more creative, compassionate, effective, and sustainable organizations that encourage people to work from a place of insight, kindness, and mindfulness. She has developed methods to help people grow in awareness and insight in order to be more effective instruments for change, to take responsibility for the world we live in, and make it a fitting legacy for generations to come.